In spite of my illness, I continued to be out and about in August. Every time I would tell myself, "I should take x day off, just to rest", something would come up that only I could cover. I wasn't terribly sick and, as long as I could take time and work slowly, things got done. In no particular order, here are some things I've seen in the month of August. 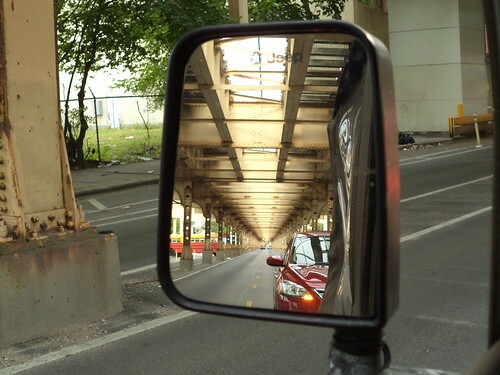 This the the elevated superstructure on Lake Street in Chicago. I like the symmetry of the steel work. 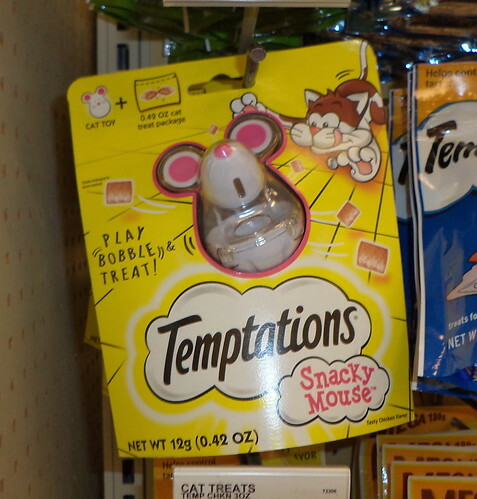 The girls love Temptations cat treats. We have a lot of toys that they don't play with in spite of my attempts to interest them. I saw this and was so tempted. But I realized they might be afraid of it, which would defeat the purpose. And I'd need to buy two, one for each cat. Nah. I'll just give them treats as usual and try to get them playing with me the old fashioned way. Finally, this was on the wall inside an old building I was inspecting. The space is used for record storage for a school district. 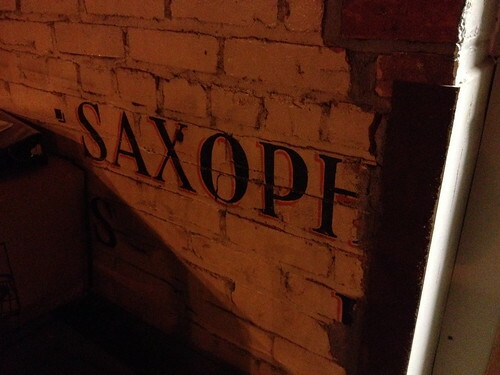 When I saw this, I went back to the other walls to see if there were other instrument names stenciled on the walls. If there were, the names had long since been erased. There wasn't anyone around who could tell me the original purpose of the space. I had been let in and left to do my work. So, I have no idea if the space was formerly a band room or, perhaps, storage for band instruments for the school. The building in question had been built in 1919 and was a high school until the 1970's. It makes one curious.